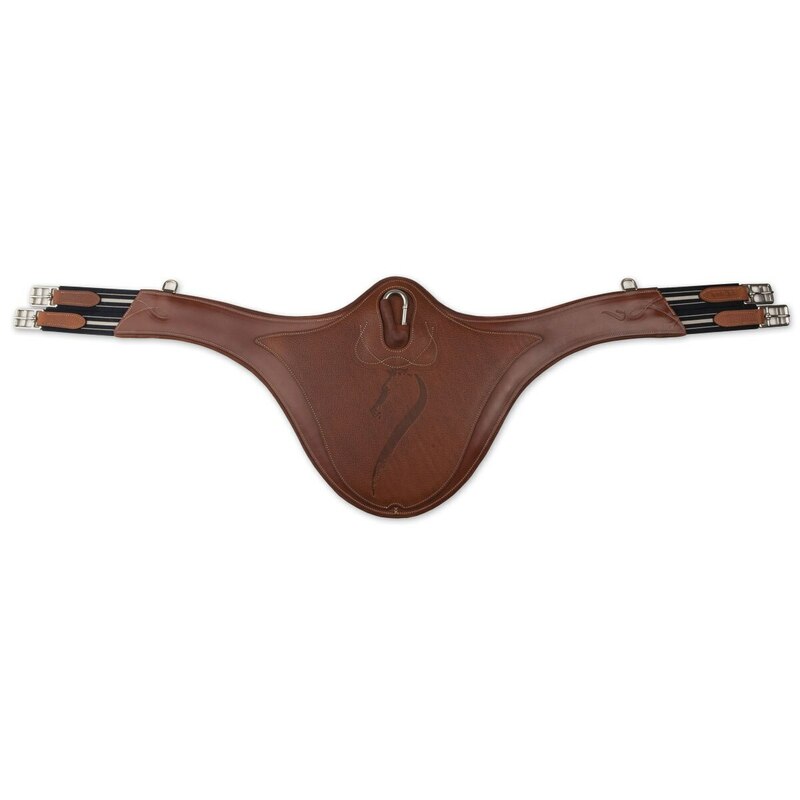 Antares Belly Protection Girth is rated 5.0 out of 5 by 2. Rated 5 out of 5 by Ashley from Amazing Quality and Fit! I got this girth because I was unhappy with a few other belly guard girths. It fits amazing. I love the offset on the buckles, it makes the fit much nicer. It looks great and the leather quality is top notch. Plus the "D" for attachments makes putting on a martingale or breastplate super easy! I would highly recommend this to a friend, plus it goes great with the other Antares tack.